NB this works if you have a Facebook Page. It’s not something you can currently do on for your personal status. Don’t forget to press the schedule button. Find the one you want to edit and click the down arrow on the right of the post. 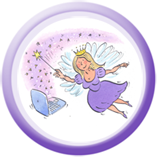 As The IT Fairy, I love helping people discover how easy IT is to use. For more tips and tutorials make sure you’re signed up to my newsletter “Fairy News” or book me for some friendly training. Nicely explained IT Fairy. Scheduling is a great idea especially if you’re taking care of accounts on multiple social platforms. Although it seems simple to schedule a post, when you need to schedule more, or if you need to schedule posts on a few groups or your wall this won’t work. There are other better ways to schedule Facebook posts faster and easyer, try http://www.massplanner.com for example and you will see how easy this can be. Oh yes there are plenty of tools out there you can use to schedule posts but if your only need to do a few and/or are just starting out with no money to spend then it’s probably best to start with things you can do for free until you find your way in social media.